That is, unless you’re referring to a beverage, snow or ice cream; however, today we aren’t talking about where you ski or how you take your martini, we are talking about how you find, engage and nurture relationships in today’s evolving B2B sales ecosystem. Prior to my role at LinkedIn, I was one of “them”; a cold-caller, someone who left countless voicemails, sent thousands of generic templates, and often annoyed my prospects to the point of anger. Little did I know that 90% of C-level executives never respond to cold calls or cold emails. While I had the persistence and tenacity to capture the 10% of people who were even open to hearing what I had to say, I never truly realized how much I was limiting myself in terms of success. It definitely wasn’t fun for me and I am sure it wasn’t fun for the people on the receiving end of my outreach. Getting a referral or a warm introduction is like hitting the jackpot. You meet someone, and then after a round of “20 questions” and “the name game,” it turns out they play sports with your prospect, and are also family friends. Today with the rise of social and digital, 75% of B2B buyers use social media as part of their decision process. At the time, I knew that I had to assert myself into those channels, but I didn’t know how. If only there was a better and easier prospecting method so I would never have to cold call again. LinkedIn is where people go to connect to people and find information that relates to their job, so it makes sense to build your prospect network there, too. 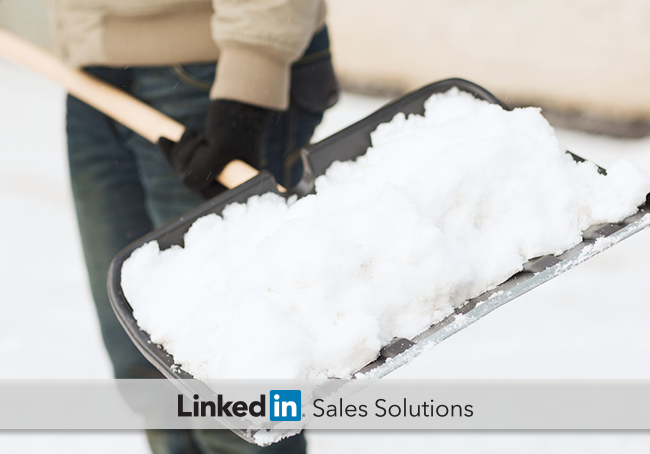 Plus, LinkedIn has tools built into the platform to help salespeople reach and connect with the right people more effectively, eliminating the need for cold calling. In fact, if you have a second degree connection, the conversion rate rises to 50%. Whether connecting talent with opportunity or buyers with sellers, it’s time to start leveraging your network. Use this to your advantage. Don’t be shy. For all you know, the person sitting down the hall from you could be next-door neighbors, college roommates, or even related to your prospect. All three of the aforementioned scenarios have happened to me and my colleagues. If relationships and referrals are important to you, and yield better conversion rates, why spend the time spinning your wheels? Step outside of your comfort zone, and reach beyond your immediate network. Gaining access beyond your 1st and 2nd degree, into your 3rd degree network and beyond, increases your visibility on LinkedIn by more than 50x, on average. Use Premium Search Filters to find the right people, and then sort by relationship as a first step in pinpointing how to get your foot in the door. Turn to your colleagues. Selling is a team sport, and there is no “I” in team. When you reach out for a warm-introduction, the first priority is to check with the introducer, and ask them if the introduction is even possible. Personally, I like to pick up the phone and ask a friend or colleague directly if they are willing and able to facilitate the introduction. If it’s a less personal relationship, send them an e-mail. If someone has offered to facilitate an introduction for you, never be afraid to follow up. The goal here is to shorten the sales cycle. Once you get in the door, know that the person you are speaking to is taking this meeting for a reason, and be thankful for their time, as 84% of B2B decision makers begin their buying process with a referral. Even more importantly, make sure to keep the introducer in the loop, and informed of key milestones; for instance, when you schedule a meeting, send a proposal, close a deal, grow the account, etc. They will be excited to share in your success, and more willing to help you in the future.